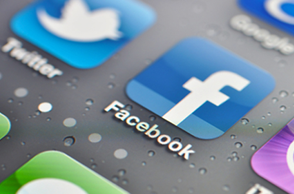 Mobile Social Media – Friend or Foe? Social media is becomingly less of an activity and more like a routine; it has integrated itself into our lives so seamlessly that we barely notice just how much we use it. It can be said for most of us that if someone was recording the amount of time we spend on Facebook and Twitter we’d likely be baffled at just how much we use these sites. As social media becomes more prevalent checking our Facebook seems as natural a reflex to momentary boredom as eating is a reflex to hunger. Obviously key in this is the fact that sites like Facebook, Tumbler, Google Plus, and all other social media sites can be accessed whenever a user pleases via mobile technology. This mobile technology allows social media to pervade every aspect of a user’s life. Just imagine how devastated Orwell would be. Tiresome 1984 reference aside, overall, this is a good thing. You don’t really need me to gloss over how much of a technical achievement mobile social media is; if you took this technology back to the 50’s they’d think you were some kind of future space man from some hypothetically advanced dimension. There are some downsides – most commonly people say social media such as Facebook and Twitter exacerbate people’s procrastination problems, but realistically, people are going to procrastinate no matter what. I’m pretty sure I’ve cleaned out my room and my car in procrastination, so I can hardly claim that were it not for time wasted on Facebook I’d be a prolific writer sitting atop piles of money and women. The real problem with mobile social media, though, is that it can often do the precise opposite of what these sites were created for. Suppose you and four friends are all together at a trendy milk bar (they have those, right? ), what are the chances that, at any given point, one of them will be browsing their Facebook or Twitter page on their smartphone? You know what I’d say if someone asked me that? Probably nothing because I’d be too busy checking my Facebook for notifications, that’s what. This type of antisocial behaviour existed before the advent of mobile social media, and still exists outside of it. For instance, it’s common to find that while you’re chatting with a friend they’ll get a text message and start replying, blatantly only half listening to your thrilling story about how you drank too much milk at the milk bar and went on a glorious milky rampage. This can be irritating, but it can sometimes be justified – they got a message and are reciprocating communication. It’s different when you’re with friends and one of them randomly checks their Facebook because they weren’t prompted to do so. More often than not this deadens interaction rather than engenders it as social networks are meant to do. This is especially egregious because the interaction it deadens is good ol’ fashion human interaction. If you are a user of social media and an owner of a smartphone, it’s extremely likely that you’re guilty of this transgression on numerous counts, we all are. But think about it; if you map the pervasion of social media into our lives, the recent end of that timeline would be startling. First it started as a fun thing to do at home on your laptop/desktop, then it became a habit, then you got it in smartphone form and it really became a habit, and now you use social media not only to procrastinate or as a fun aside, not only when you’re bored on a train or bus, but now you use it when you could be socializing with real people. I sometimes wonder what the future will be like, perhaps in ten years’ time we won’t speak to each other; we’ll assemble in our friend groups and communicate via some kind of text messaging. That’s a lie, I’ve never actually thought that, and it’s unlikely it will come to that. But it is a fond hope of mine that people will realize the absurdity of randomly checking to see if anyone has posted on their Facebook wall when they’re surrounded by their friends. Although, if in ten years people aren’t talking to one another and social networks are the primary means of communication, I totally called it.